The first approach for the development of new processes and the research of scientific effects is the application of standardized laser systems. When the requirements on scientific research advance, they equally rise with regard to the laser systems. For optimum results in scientific research and development, diode lasers with very precise specifications are indispensable. Operating and monitoring the system with defined and fixed parameters such as the power distribution and wavelength is essential for the accurate collection and evaluation of data and will lead to reliable results. Provisioning an outright laser system will further enable scientists to actually focus on their actual research. As complete solution the system can furthermore be directly integrated into the security system, providing a safe operation for your team of experts. For your scientists to concentrate on their actual research, INGENERIC has specialized to provide complete laser systems, optimized for your application. We excel in developing systems with highest peak-power and a firmly defined beam shape. Our team of experts in the fields of optical, mechanical and electronical engineering enables us to implement your requirements into a ready-to-use-system in a short period of time. They are supported by state-of-the-art-equipment as well as software tools to guarantee high precision and a reliable quality in the design and mounting phase. At INGENERIC we further benefit from a network of strong partners. In close cooperation we develop the design of the ideal layout for your specific application and ensure that the diodes will be conducted with the optimum power source. All specific customer requirements with regard to controlling and monitoring will be realized. Based on the plattforms of already realized products, we are capable of covering a wide range of parameters. Contact us to learn more! 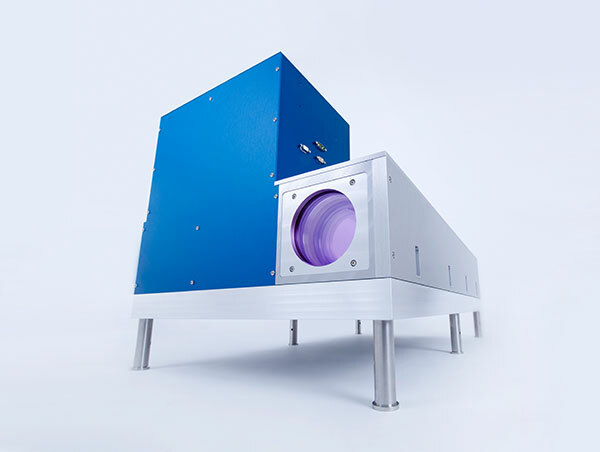 In world-wide tenders INGENERIC was selected to supply laser systems for high-energy research facilities, such as HiLASE in Prague and DESY in Hamburg. With the latest X-Fel-Project DESY the total of the already installed base has risen to 1200 kW. 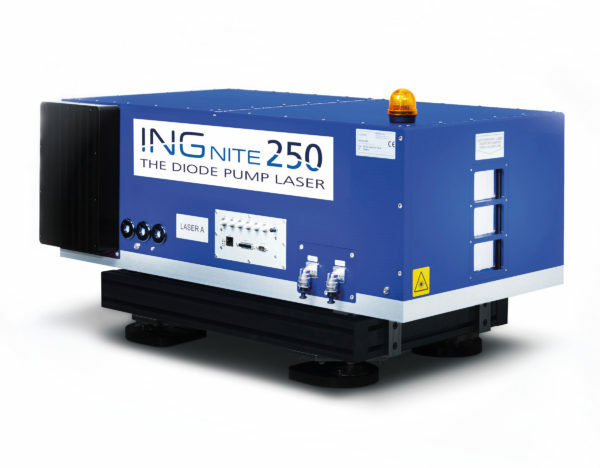 The INGnite250 is a high-power diode laser system which is designed for pumping applications with special focus on high energy DPSSL systems. The laser system generates a top-hat profile of 78 x 78 mm² in a working distance of 5.0 m with a unique homogeneity tolerance of < 7 %. Steep flanks of the profile guarantee an efficient pumping. The pulsed power of up to 270 kW can be tuned with respect to pulse duration and repetition rate. The wavelength of 939.5 nm is controlled within a range of ± 0.1 nm. The system is delivered with power supplies, cooling units and computer- based control system. Please refer to the product sheet “Scientific Lasers” to learn more about scaling options.